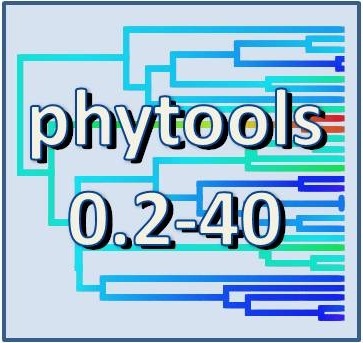 A new version of phytools is now available on CRAN. I submitted the last CRAN version of phytools March 20th, so there are not a huge number of updates in the present version - but some of them are important or very cool, so I decided to get the new phytools version on CRAN anyway. Over the new few days, Windows & Mac OS X binaries should be built and then gradually percolate through the CRAN mirror repositories. 1. A new function to get the marginal ancestral state reconstructions of a discrete character using the re-rooting method. 2. A new function to summarize the results of stochastic mapping (1, 2, 3). 3. An update to make.simmap to allow uncertain tip states. 4. A small update to phylosig in the calculation of P-values. 5. An update to make.simmap to allow it to performing mapping on a set of input trees, for instance from the posterior distribution of a Bayesian analysis. 6. An important bug fix in make.simmap for asymmetric substitution models (e.g., model="ARD"). 7. Finally, a new, totally rewritten version of phylomorphospace that also allows users to show a mapped discrete character on the tree.